The following is syndicated from www.libbyhellmann.com and is posted here with permission. A writer’s journey often takes them to unexpected places. I know mine has. Like many beginning writers, I decided I could write a novel fresh out of the gate. So I did. Funny—no one wanted it. At the time I was irritated. Why not? I’d just spent four months working on what I thought was going to be a NY Times Best Seller. The answer? I didn’t know what I didn’t know: that I hadn’t learned the craft of fiction, that I was getting in the way of my characters, that the plot was unbelievable, at times even (horrors!) trite. I joined a writers’ group, and slowly my process started to gel. In fact, sixteen years later I’m still in the same group. Nonetheless, writing my first short story, “The Day Miriam Hirsch Disappeared”, was pretty much an accident. My son was about to be a Bar Mitzvah, and one of his gifts was a pictorial history book called The Jews of Chicago. As I flipped through it, some of the photos grabbed me. They were taken in Lawndale during the Thirties, which, at the time, was a thriving Jewish community in Chicago. After staring at them for days, I ended up writing a short story set in that time and place. I had no idea it would win two contests, and would turn out to be the prequel to my Ellie Foreman series, which itself is the prequel to my Georgia Davis series. Since that time I’ve written over 20 short stories. I’m hooked on them, and I’d like you to be as well. Short stories are magic—and they’re great for your career. Here are 6 reasons why. People say it’s tougher to write short than long. Don’t believe them. 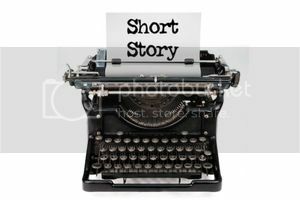 The best thing about short stories is that they’re short. I like to say that a novel is like a marriage, but short stories are like an affair. I can get in and out of one in 6 weeks. During those 6 weeks, I’m full of passion, awareness, and energy. Then it’s over, but unlike an affair, I have something tangible to show for it. #2 They deepen your craft. Short stories help you master the elements of craft. Every word counts, and that includes setting, character description, and action. In fact, the entire narrative (and dialogue) has to be crisp, concise, and meaningful. If you can do it well in short form, there’s no reason you can’t expand it to a novel. My favorite reason to write short stories is to explore new characters, plot lines, and voices. Often in the middle of writing a novel, I’ll get an itch of an idea that won’t leave me alone. Writing a short story lets me scratch that itch. Plus, it gives me a break from my novel, and I come back to it refreshed. The first hard-boiled piece I wrote was a short story, and several times I’ve tried out historical time periods that I later expanded to a novel.“The Whole World is Watching”, for example eventually developed into Set The Night on Fire. I published 2 short stories before my first novel came out. When it did, readers had seen my name around, and I like to think they realized I was taking my writing seriously. That recognition gave me an advantage when An Eye For Murder was released. Most novelists publish a new book once a year, but what happens to your characters inbetween? Short stories are a great way to fill in. I wrote several Georgia and Ellie stories just to remind my readers they were still around. They’re also a wonderful way to answer questions for your readers. The Murder of Katie Boyle explains how Ellie and Georgia first met, and War Secrets, which will be out in an MWA anthology next year, answers one of the questions I deliberately left hanging in A Bitter Veil. Plus, you never know when a story (like Miriam) will propel your career onto an entirely unexpected path. Most short story contracts bind you for one or two years, but after that, the story is yours to do with what you wish. I’ve offered reprints to other anthologies, bundled them into collections, and have seen audios produced. In fact, a short story is the gift that keeps on giving… indefinitely. Enough reasons? Start writing. I’ll gladly read them. 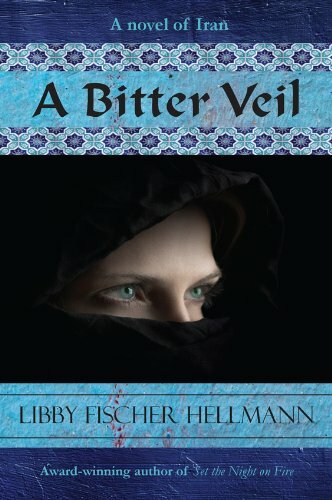 Libby Fischer Hellmann writes Compulsively Readable Thrillers. With ten novels and twenty short stories published, she has also written suspense mysteries, historicals, PI novels, amateur sleuth, police procedurals, and even a cozy mystery. At the core of all her stories, however, is a crime or the possibility of one. She is a transplant from Washington, D.C., where, she says, “When you’re sitting around the dinner table gossiping about the neighbors, you’re talking politics.” Armed with a Masters Degree in Film Production from New York University, and a BA in history from the University of Pennsylvania, she started her career in broadcast news. She began as an assistant film editor at NBC News in New York, but moved back to DC where she worked with Robin McNeil and Jim Lehrer at N-PACT, the public affairs production arm of PBS. When Watergate broke, she was re-trained as an assistant director and helped produce PBS’s night-time broadcasts of the hearings. In 1978, Hellmann moved to Chicago to work at Burson-Marsteller, the large public relations firm, staying until 1985 when she founded Fischer Hellmann Communications. Currently, when not writing, she conducts speaker training programs in platform speaking, presentation skills, media training, and crisis communications. Additionally, Libby also writes and produces videos.